I wish I had kept a commonplace book. 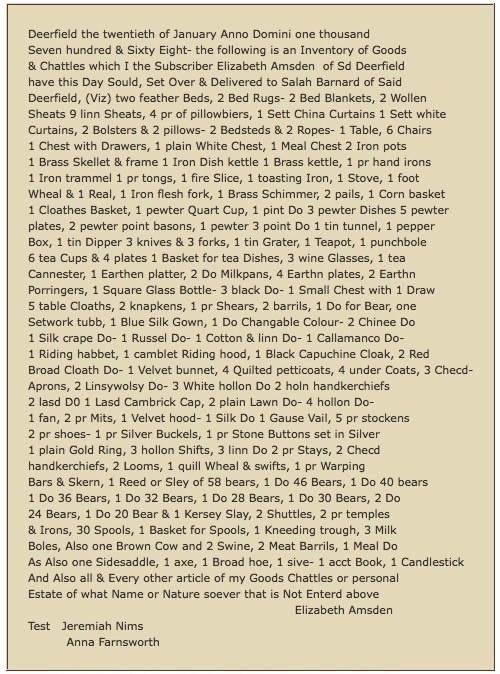 I could never muster enough discipline or time to do so although there are bits and pieces of things I found interesting—from magazine articles to photos, from odd words to poems, from recipes to DYI columns—scattered here and there in physical notes or on my computer. MILCAH MARTHA MOORE (1740-1829), however, did keep a commonplace book: copying poems she found interesting, letters from friends, items from newspapers and passages from books, usually for her own pleasure, but often with the intention of sharing them with friends or relatives in the Philadelphia area. Poems she copied were frequently by women who had not been able to publish them but who were able to achieve some recognition by having them circulated among women friends. What follows is a poem titled “To Sophronia” by HANNAH GRIFFITTS (1727-1817), Moore’s second cousin, signing herself “Fidelia.” The name “Sophronia” was often used to refer to an unmarried woman so the title is apt for this poem praising the single life. Is luckily out of yr. reach. And go marry—as soon as you please. Illustration: Anonymous manuscript, mid seventeenth century, containing poems by various authors, in various hands. Includes Shakespeare’s second sonnet. James Marshall and Marie-Louise Osborn Collection, Beinecke Rare Book and Manuscript Library, Yale University, found HERE. 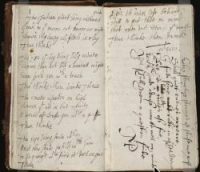 The poem appears in Milcah Martha Moore’s Book: A Commonplace Book from Revolutionary America edited by Catherine La Courreye Blecki and Karen A. Wulf (University Park, Pennsylvania: Penn State University Press, 1997), pp 173-74. 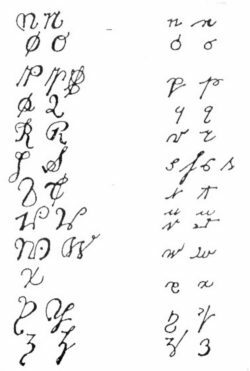 More about deciphering eighteenth century handwriting. Readers will, of course, have seen the sign “Ye Olde English Tea Shoppe” when looking for a place to have a cuppa. The “y” in the sign is a thorn and represents “th”; therefore one should say “The Olde …” The thorn is used in other words too. 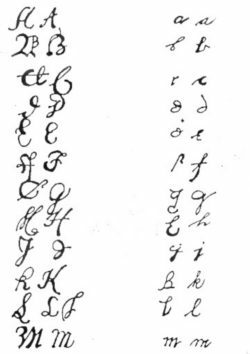 Lower and upper case letters of the alphabet in their handwritten forms can be difficult to recognize and differentiate. Nouns were often capitalized but not consistently. The writer will sometimes capitalize a noun on one line but not on another. Or … use the lower case for a proper noun. Cast your eyes on these samples of upper and lower case letters. Doesn’t the capital “L” look like an “S”? Many’s the time my colleagues and I have conferred in a manuscript library over the handwriting in a letter, trying to decide whether a particular word begins with a capital “G” or a lower case “g”. I’m off shortly to help a friend examine a cache of family letters. Maybe the tips and examples given will help you decipher old family letters or diaries, if you’re lucky enough to have them. The source for this post is “What Does That Say?” Series, Pt. I found HERE.